Show off your phone in style with a hand-made Brazilian Lacewood & White Falcon Engraved Protective Phone Case made by Thalia in California. We believe that form should follow function and that a case should protect your phone but not at the expense of being overly thick. All of our cases are designed to protect your phone, feel great in your pocket, stay put in your hand and look great anywhere that you take it. 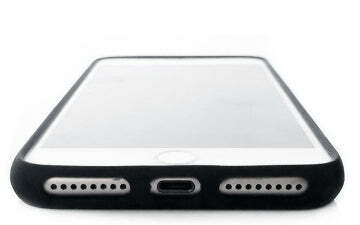 All of our cases feature a raised bezel around the phone’s screen which prevents direct surface-to-display contact. 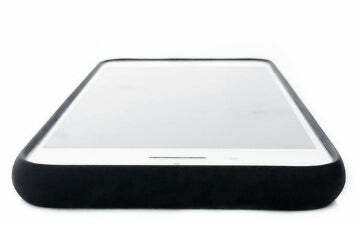 Military grade polycarbonate and overmolded with TPU rubber, our cases provide excellent resistance to scratches and other damage. Generous port access to all the controls and features; each of our cases features perfect cutouts for your phone's speakers, camera and other ports. 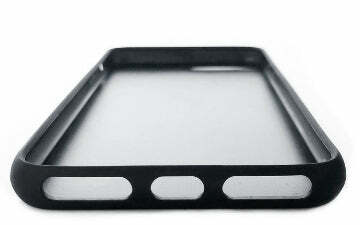 All of our cases are designed to support wireless charging without the need to remove the phone from the case. 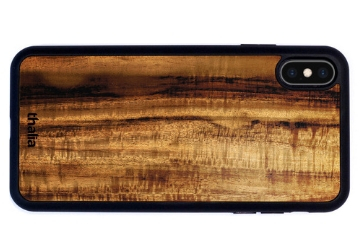 All of our cases feature real exotic wood & shell inlays that are sustainably sourced. 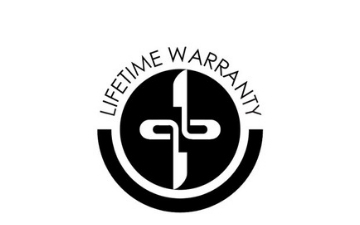 Thalia is committed to quality and all Thalia products come with a LIFETIME WARRANTY. 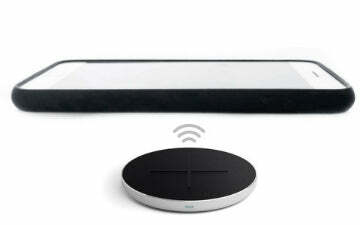 If something goes wrong contact support for and we will fix it or provide you with a replacement. 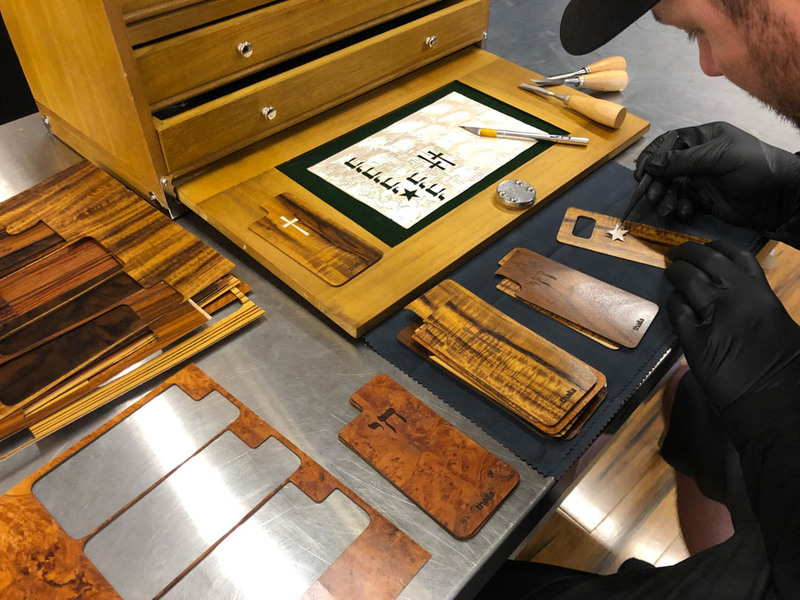 Thalia cases are proudly made by hand in California by a team of talented inlay artists who have been crafting fine wood & shell inlays for the guitar market since 2014. With our expertise and massive stock of exotic woods & shell, we are pleased to offer the world’s largest selection of custom exotic wood & shell phone cases for all major mobile phone and tablet platforms. Thalia envisioned a new guitar capo (the device that clamps to the neck of a guitar to change its key) that was inlaid with hawaiian koa wood & abalone shell just like Taylor's guitar. That was the seed of an idea that would ultimately lead to the invention of the Thalia Capo and the company that now bares her name. 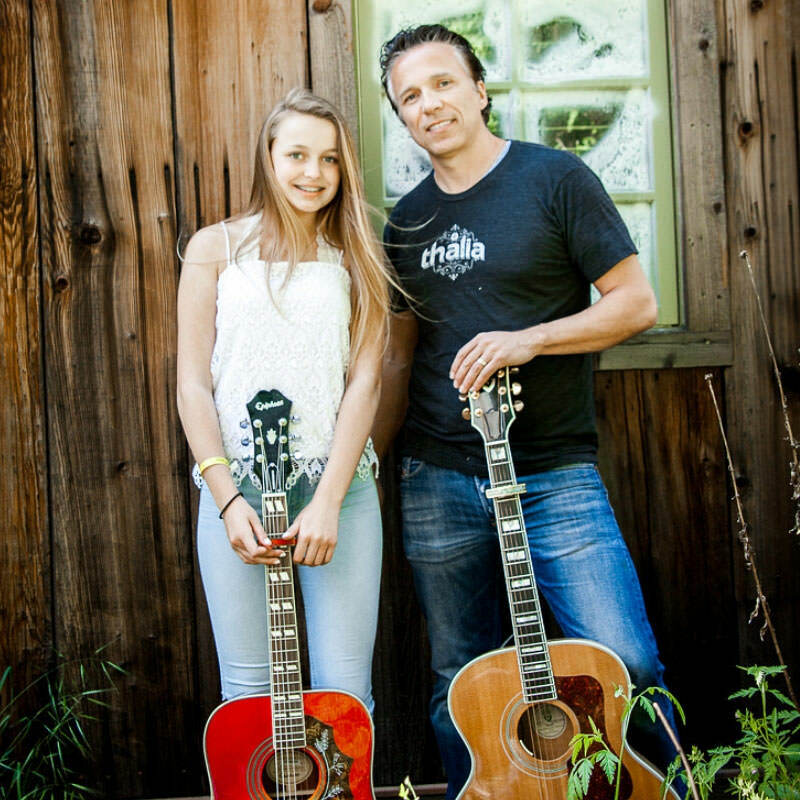 For Thalia's father Chris was an inventor and guitar player and he loved Thalia's idea, but he also thought the capo could be redesigned to make it much easier to use. They went to work and some 70 prototypes and four years later the father and daughter duo launched a kickstarter campaign for the Thalia Capo, which featured exotic wood and abalone shell inlays, just as Thalia had imagined. Today, Thalia (the company) designs products in a range of categories including guitar capos, wood guitar picks, apparel, mobile phone cases and more.